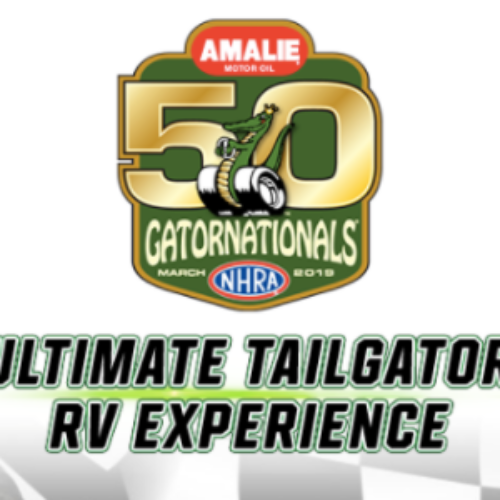 You can enter the Ultimate Tailgator Sweepstakes from Amalie Oil Co. for your chance to win the Ultimate Tailgator RV Experience that includes four (4) Full-Event AMALIE Skybox passes to the 2019 AMALIE Motor Oil NHRA Gatornationals. You’ll also win exclusive accommodations in a Lazydays Luxury Motorhome, NHRA backstage access and more! Entry ends February 20, 2019. Would make for an awesome late birthday present for me and my son mine is February 4 his 9. It would be great to be a part of NHRA .for a week end. Thank you.